Architecture Month Memphis is well underway, though the more exciting social events are yet to come, so in the theme of architecture with a mix of fun, I’d thought I would let three great Memphis architecture minds, who also share my passion for great music, take over the featured songs each day this September. See the Architecture Month Memphis events held by AIA Memphis here. This week, our guest dj is Andrew Parks of archimania who also teaches at The University of Memphis School of Architecture. In addition to his award-winning design and teaching talent, he has seriously mad skills in creating photo realistic 3-d renderings which you can see more of here. In the music realm, I was really impressed with the number of great bands we had in common and began a personal challenge of finding one great indie band that he had yet to discover. Well, after a handful of attempts, I did finally suggest one band he didn’t know – Motopony. Oh the joy in something so trivial, but it also got me excited to know what five songs he would pick for this challenge – songs appropriate for each day of the week with at least one cover and one remix. 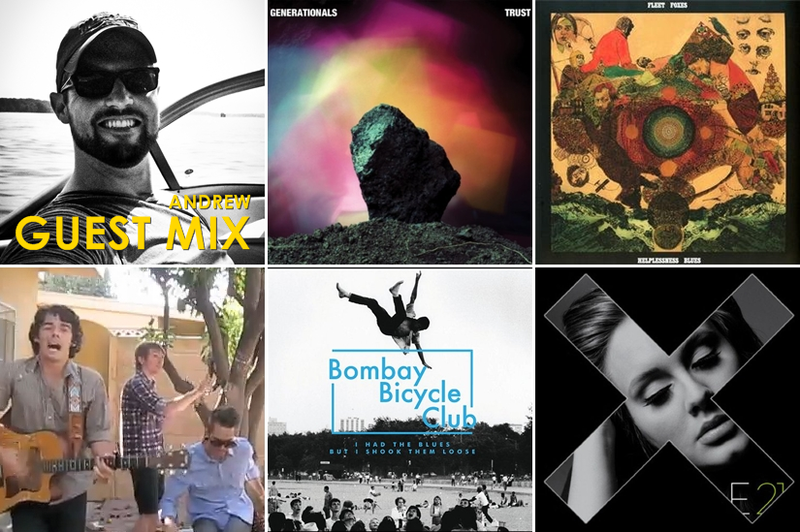 The result – a super cool mix that should put a little bounce in your week. Enjoy Andrew’s super cool music mix listed below with the band name next to each day along with his song commentary. To find out what song he's selected, visit the sidebar music player each day. Thanks Andrew! M / Generationals / An up-tempo but relaxed song to start the week off. T / Fleet Foxes / How can you not like this one? Very mellow. W/ Local Natives - Simon & Garfunkel Cover / This song always puts everyone at my house in little a better mood and this just so happens to be Ken Frampton’s favorite band (a little architecture humor there in honor of architecture month). To watch the video, click here. F / JamieXX - Remix of Adele featuring Childish Gambino / I know this song has been remixed at least 100 different times, but this one is definitely one of the best. Swag.